Nor-Cal New Year’s Reunion. Homecooking by the sis’. Appetizers. 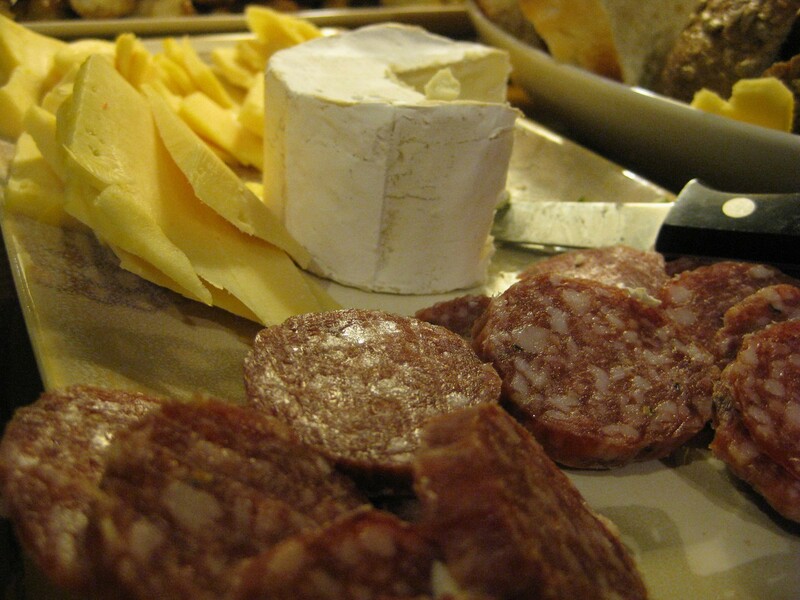 Artisan bread with salami and assorted cheeses. Cinammon twists. Feast. Arugula salad with walnuts, strawberries, avocado, and feta. 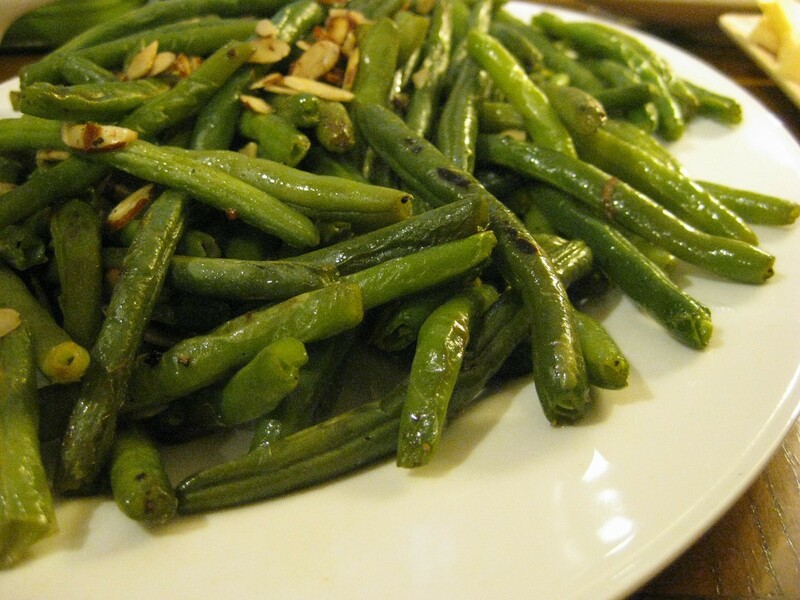 Green beans with almonds. Basil shrimp. Maple-infused salmon. 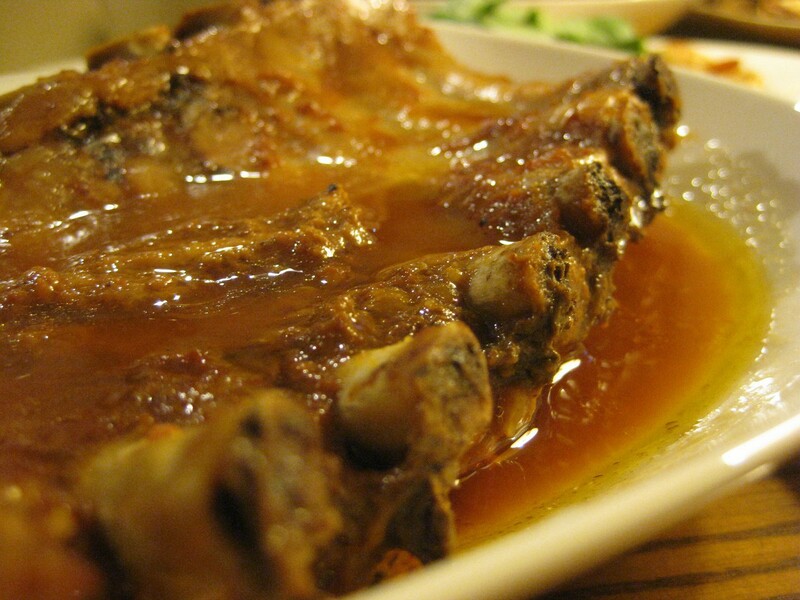 Barbecue ribs. 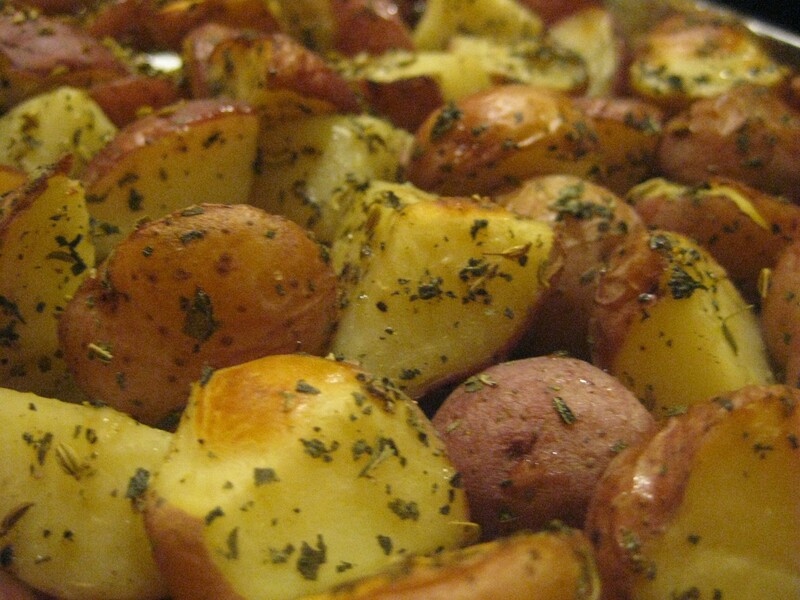 Roast potatoes with oregano, fennel, and olive oil. Every New Year’s, my sister, me, and a bunch of our hooligan friends write funky resolutions on slips of paper, throw it into a hat, and proceed to select our punishments for the year. We all pick a resolution and our mugshot is taken with the resolution in hand as evidence to what we need to do, in order to remind ourselves of the utter shame we might face if 365 days pass without fulfilling the resolution. Some of the resolutions range from reasonable (go to a new country/city!) to ridiculous (give me 100 dollars)…(nice try), or in my sister’s case, cook a complete meal from appetizers to desserts, for a fairly large group of people. When I learned that my sister had to do this, I chuckled, since knowing my sister, she’d be more inclined to go catch pigeons than pick up a spatula. But nevertheless, there was food involved; and where there’s food, there’s science. Just from what I know about supposed “dinner parties,” they can be a logistical nightmare. 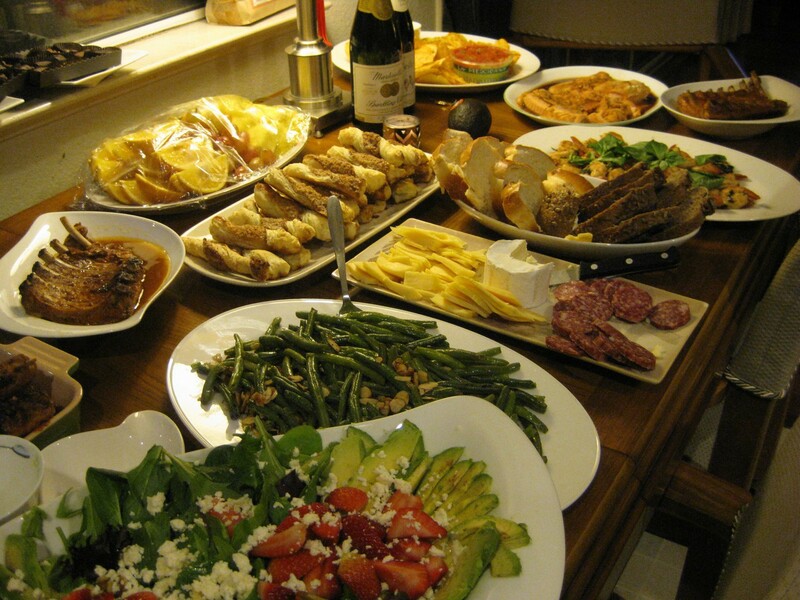 Best way to go about a dinner party in my opinion, would be to cook one or two main courses, and then divvy out the rest of the responsibilities to your grateful friends, who hopefully don’t have the mind to just go out and dump television dinners onto nice looking plates. BUT, unfortunately, my sister had to bang out the whole dealio from start to finish- sorry friends, no responsibilities for you guys/gals this time. But I gotta say, she did a hell of a job. Assorted cheese plate, a la help from a friend. Artisan bread and cheese (Brie, Gouda, Swiss? 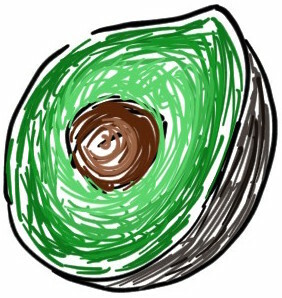 ); the perfect pre-dinner appetizer. Cheese tower and the salami shanty. 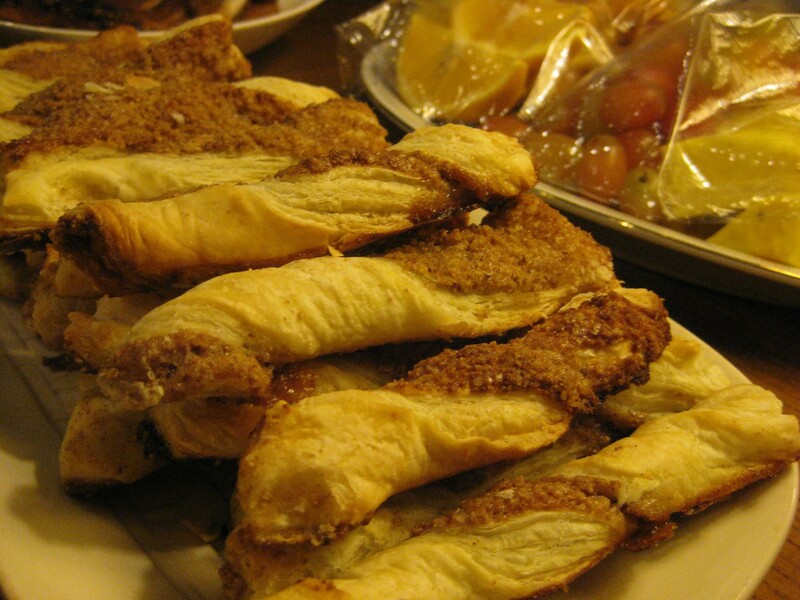 Cinnamon twists, a la Mom. She got the recipe from a magazine, and just…they were good. Moist and hot in the middle, crunchy and spicy on the outside. Don't get your cinnamons in a twist. The arugula salad was excellent. There were so many varied flavors, I didn’t even need dressing. 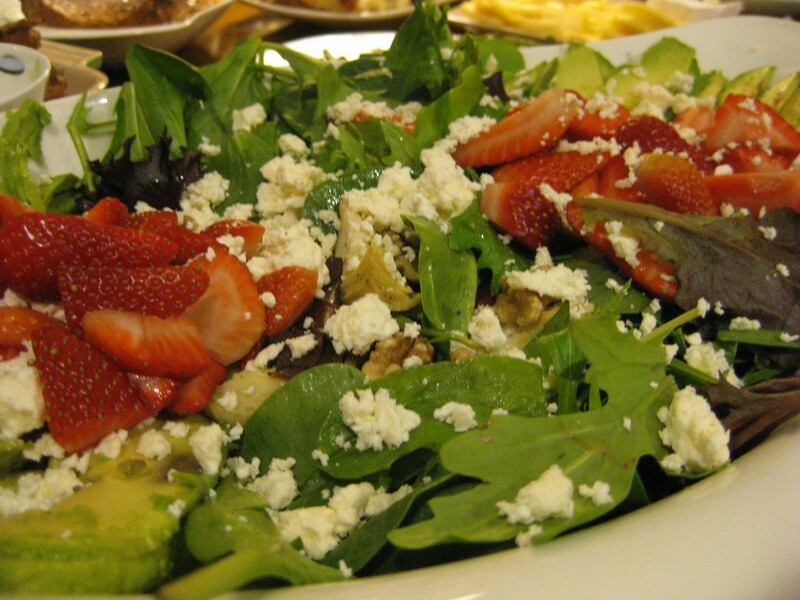 Peppery arugula, sweet strawberries, earthy, crunchy walnuts, crumbly feta and creamy avocado. If this was the only dish my sister actually managed to make, I would’ve been a happy camper. Green beans with toasted almonds. Good stuff. The beans were first blanched in hot oil, which cooks them quickly without screwing with the vibrant green color (high heat, excellent transfer medium, and short time in heat). Salting, olive oil, and subsequent tossing with almonds over low heat came second. 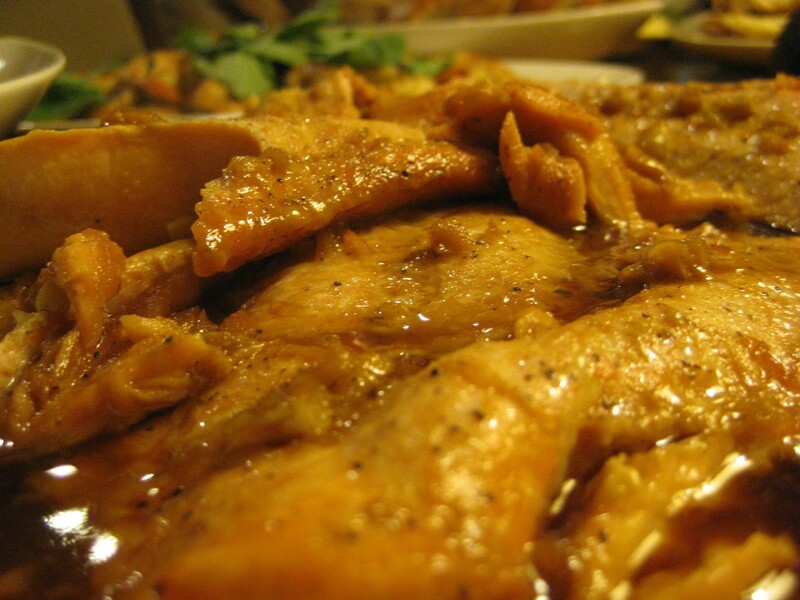 Flavorful and not too greasy. 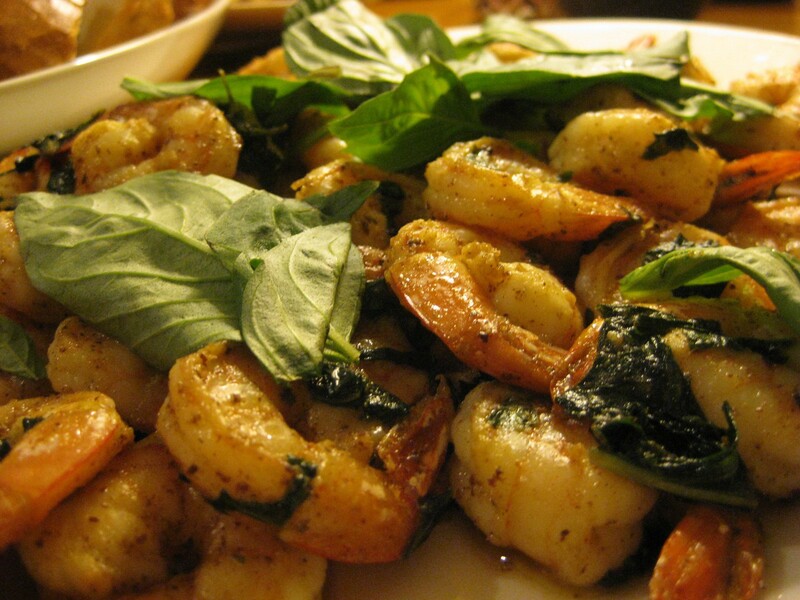 Basil shrimp. This stuff disappeared so fast it wasn’t funny. No one was laughing when there were a couple left on the plate, everyone was giving everyone else the eye, and knives started disappearing from the table. Shrimp tends to lose liquid fast, so it’s beneficial to have a super dry and hot pan to get some nice color going, otherwise we tend to overcook the shrimp by boiling it in its own juices. Soy-maple glazed salmon. Runner-up to being consumed the fastest. Tender, sweet, and savory. Came out with an amazing brown color thanks to caramelization of the maple syrup. Barbecue ribs. Pretty solid ribs. The jus was a bit watery, so some reduction would’ve helped there. Enough, however, made it onto the meat. The sauce was actually store-bought, and slightly tweaked to her tastes; but there was a slight time crunch. I’m sure my sister could’ve made a bomb-homemade barbecue sauce, but I guess it wasn’t in the cards this time around. Well done sis’. A delicious resolution down the hatch. Oh, almost forgot the potatoes.